It’s never been so easy to create and manage pricing and comparison tables with WordPress table builder. Any element of the comparison table can be customized with a mouse click. Price table by Supsystic and Hihal Price Table like a part is a super powerful tool for adding beautiful comparison tables to your website. It is flexible and could work great on any website. Create unlimited comparison tables without touching a single line of code. Who doesn’t want to create a nice site with beautiful design and user-friendly interface with maximum information? Do you want to create visually-appealing and responsive comparison tables but don’t want to fiddle with HTML? If yes then you will find our WordPress plugin extremely useful. It comes with a powerful table creator using which you can create complex tables with ease. Integrating the table into your website is also simple. Just follow our instruction and use the shortcode. Paste comparison tables into your site or WordPress page and be the first in your market! 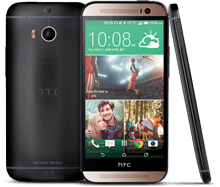 The HTC One (M8) is powered by 2.5GHz quad-core Qualcomm Snapdragon 801 processor and it comes with 2GB of RAM. The phone packs 16GB of internal storage that can be expanded up to 128GB via a microSD card. As far as the cameras are concerned, the HTC One (M8) packs a 4-Ultrapixel primary camera on the rear and a 5-megapixel front shooter for selfies. The HTC One (M8) runs Android 4.4.2 and is powered by a 2600mAh non removable battery. 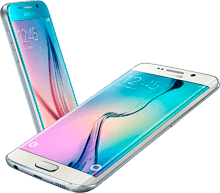 Include Samsung's eight-core 64-bit Exynos 7 processors, a 5.1-inch quad HD Super AMOLED display, LPDDR4 flash RAM and UFS 2.0 flash storage, a 16-megapixel rear camera with Smart Optical Image Stabilization (OIS) and automatic real-time High Dynamic Range (HDR) processing, charging improvements and wireless charging capabilities, an upgraded mobile operating system (Android 5.0 Lollipop) and more. 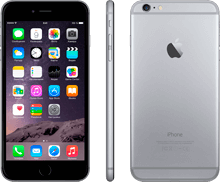 In terms of other new features, the iPhone 6 adds a faster A8 64-bit processor, support for 150 Mbps LTE as well as 802.11ac Wi-Fi and Wi-Fi Calling, an updated 8MP iSight camera, and support for the new iOS 8 operating system, which includes the new Apple Pay mobile payments service (along with a Near Field Communication antenna for long-awaited NFC support). Pricing tables are used as a way to illustrate how the features of a product differ as to the price changes. Comparison tables for WordPress must be chosen very carefully so that visitors should get the information they would be interested in. Available features, options, and costs as well as a refund. Comparison Table WordPress plugin by Supsytic with nice templates with drag-and-drop builder is totally unique and less used for you to integrate easily on your website. The plugin by Supsystic for creating pricing tables – Price Table – can help you to create any kind of table with the list you like: comparing showinf=g or any other. Choose the design you like and the shape you need – at least you can change literally everything in it. Make the design of your site customer friendly and unique, stylish and develop your own brand. Read more about our plugin on this page – Price Table for your WordPress site. They say tastes differ – so we suppose that you don’t like Hihal Price table and comparing tables. We can offer you a lot of other themes and plugin layouts for each design and requirement. Make the table for your needs! Do it manually, but without touching any line of code. Choose your best WordPress table Price Table Examples. An awesome tool for adding responsive pricing tables to your WordPress website – Price Table by Supsystic. Make the comparing tables to show the value, features and pleasant sides of your services or products. Comparing tables are perfect for e-commerce sites, portfolios or even sites of small businesses – cafes, dance classes etc. It has some unique functions which allow you to use a plugin to create a different type of awesome tables: comparison tables, TOP tables, specification tables, etc. The table looks awesome with adding data as rows and as columns.